A Royal Navy medical officer who saved the lives of hundreds of British and Argentine troops during the Falklands War has died, aged 71. Working amid terrible conditions in the field, Surgeon Capt Rick Jolly, from Torpoint, Cornwall, saved the life of every British serviceman he treated. He was the only person to have been decorated by both Britain and Argentina for his service during the conflict. 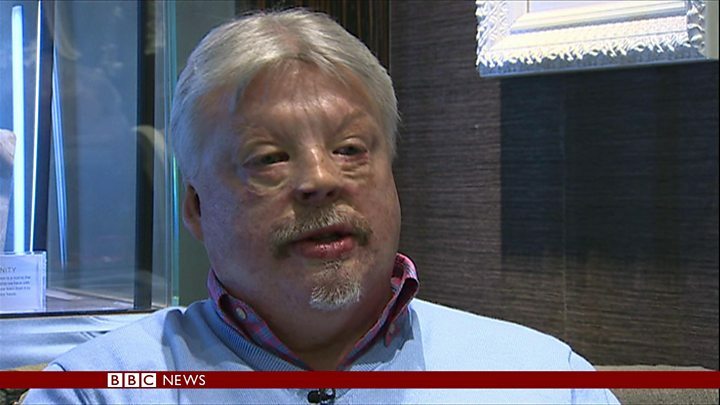 Falklands veteran Simon Weston called him an "incredible man". He said: "Without his organisational skills the surgeons and medics would never have functioned. I can only thank him for saving my life, and many others. "It's a tragedy for everyone who knew him and a tragedy especially for his family." After the war, Capt Jolly wrote books and gave lectures to share his experiences from the conflict. Known as "Doc", he was the senior medical officer of Plymouth-based 3 Commando Brigade and ran the field hospital at Ajax Bay where about 1,000 troops were treated. Despite the poor conditions, only three of the 580 British soldiers and Royal Marines wounded in action were to die of their wounds, and none while under his care. The hospital was known as the "red and green life machine" and this became the title of one of his books. He was appointed an OBE by the Queen, and awarded the Orden de Mayo (Order of May) by Argentina for his service during the war. Surgeon Cmdr Anthony Lambert met him several times, the first time shortly after he returned from the Falklands in 1982. He said: "As medics, we aren't heroes, we just do our job. But he did his job incredibly well and was an inspiration to my generation". Tributes on social media include the commanding officer of the Royal Marines 40 Commando who called him a "true hero". Gulf war veteran John Nichol has also posted on Twitter, calling him "a true hero of 1982 Falklands war".